If you are the 'Fleetwood Festival of Transport Tram Sunday' Show organiser and you would like to update or amend the details shown, please contact us. Thank you. When is the next Fleetwood Festival of Transport Tram Sunday? Sunday 21st July, 2019. Fleetwood Festival of Transport Tram Sunday is listed under July 2019 Shows. Although we try to keep the information for this event as up to date as possible, we cannot guarantee that things haven't changed at the last minute, and we haven't been informed. Therefore, please contact the 'Fleetwood Festival of Transport Tram Sunday' event holder directly to confirm all details (especially event name, dates and location) before setting off to Fleetwood. The Fleetwood Festival of Transport Tram Sunday is planned to take place at Fleetwood Town Centre, Fleetwood, Lancashire, Sunday 21st July, 2019. 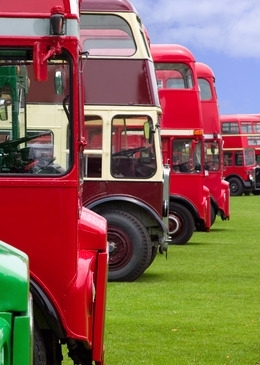 You may reach the event organisers on fleetwoodfestivaloftransport@live.co.uk. Fleetwood Festival of Transport is one of the oldest and biggest free family days out in the North West of England. The event regularly attracts well over two hundred different vehicles - from stream trucks and fire engines to vintage cars and bicycles, Fleetwood Festival of Transport has got it! The event is held in the historic town centre of Fleetwood, a small seaside town a few miles north of Blackpool. Because the event is held on the streets, which are closed to normal traffic, the event area is entirely hard-standing.